Just what is the best way to refresh your brain while also remaining sharp for the spring term? Let us be realistic for a moment – you likely did not sleep for eight full hours each evening of the semester. Perhaps you were completing a project or simply hanging out with friends. Whatever your reason (or reasons), aim to return to a normal sleep schedule during winter break. Indulge in that nap that you have been looking forward to, but also retire to bed at a reasonable, regular hour. And remember – sleep can positively affect your focus and recall, which you will need come mid-January! Winter break is relatively short, so maximize its days. Set aside time to participate in a fun activity that does not involve your television, smartphone, laptop, or any other electronic device. Why would you do as much when you can finally try to conquer that video game or binge-watch your favorite television show? The lights and movement of electronic devices can strain your eyes and mind. Turn them off for at least several hours to rejuvenate those muscles. Consider spending time outside (i.e. hiking, ice skating, sledding, etc.) or playing a board game with your family or friends. Altering your usual routine, which includes hours sitting at a desk and a great deal of time working in front of a computer, is one of the best ways to revitalize your brain! When you finally have the free time that you have been lacking over the course of the semester, it can be all too tempting to overbook yourself. Hold on tightly to your self-control and permit yourself the necessary time to unwind from the fall term and to prepare for your next semester. Do not sacrifice those activities that entertain you, but acknowledge that hurrying through each day to complete 10 different activities is hardly relaxing. The most effective way to remember important information, or to move content into your long-term memory, is to actively recall it. Rather than burying the past term in your mind, reflect on the key units you discussed in class, the large projects you completed, and any other important highlights. This will not only help you identify your strengths and weaknesses during the fall semester, but it will also solidify your learning. Though it may not always seem like it, much of the content that you encounter later in college will be critical to your future. Do not simply throw it away now! 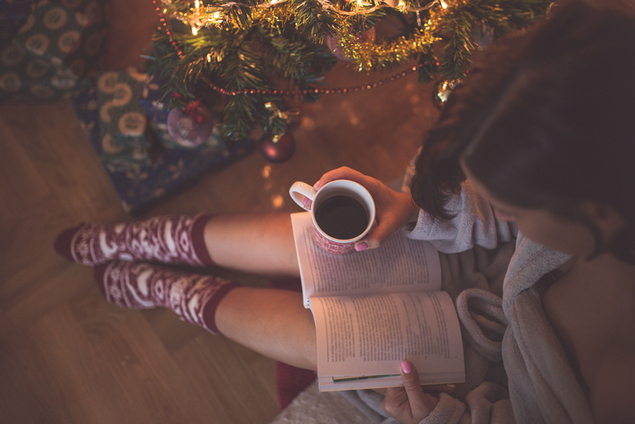 Whatever your plans are for winter break, it is crucial to devote some time to giving your brain a much needed and deserved reprieve. Take a nap, go outside, relax, and reflect. This might just be the perfect recipe for a clear head to start the next semester with vitality! Andrea Deck is a professional tutor and contributing writer with Varsity Tutors, a live learning platform that connects students with personalized instruction to accelerate academic achievement.